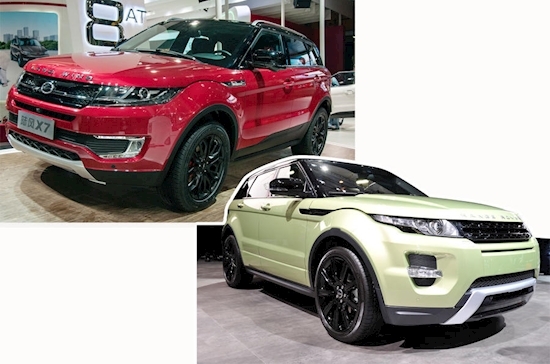 Jaguar Land Rover has won a long-standing court case in China against the firm that produces a copycat version of the Range Rover Evoque. The Landwind X7, which is only sold in China, has become notorious worldwide for being a near-replica of the popular British SUV. China is well-known for creating copycat vehicles of Western-designed vehicles, but local law has traditionally made it hard for the makers of the original models to stop the practice. Jaguar Land Rover described its win in the unfair competition case as a “first in the global car industry”. The case has been underway for more than three years, having begun after the Landwind X7 was unveiled at the 2015 Guangzhou motor show. In China, the doppelgänger is priced at the equivalent of around £14,000 – significantly less than the £40,000-plus of the locally produced Evoque. The decision issued by the Beijing Chaoyang District Court ruled that the Evoque has five unique features that were copied directly in the X7 built by Jiangling Motor Corporation (JMC) and that the similarity of the two vehicles has led to widespread consumer confusion. The court determined that all sales, manufacturing and marketing of the X7 must stop immediately. The court also demanded that Jaguar Land Rover be paid compensation. Keith Benjamin, Jaguar Land Rover's global head of legal, said: “We welcome this decision of the Beijing Court, which further strengthens our confidence in investing in China and in the fairness of intellectual property adjudication in the Chinese courts.